Hi! 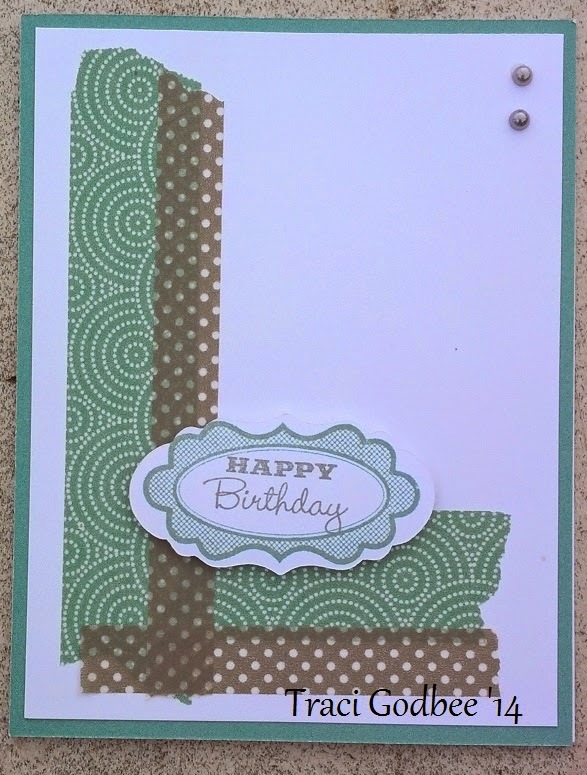 Welcome to my blog for a fun post on card classes. Those of you that periodically visit my facebook page ( www.facebook.com/scrapyourstash ) or that receive my monthly newsletter , already know that about 3-4 times a year I do a series of " Card buffet" classes. Basically, I charge $15 for two hours of card creating madness. I design anywhere from 10-20 card designs and have anywhere from 5-50 "kits" pre-cut for each design. This past weekend I had two hostesses who signed up to host an "all occasion" card buffet. Since these hostesses both lived 3 hours from my home- I had to be prepared for BOTH classes, with no chance to prep more card kits in between. I thought it'd be fun to show you a trick I use that keeps these card classes affordable and quick to prepare. I used Juniper and White Daisy cardstock. All 3 washi tapes from the Sparkle and Shine Washi tape 3-pack that was available for a limited time last fall. 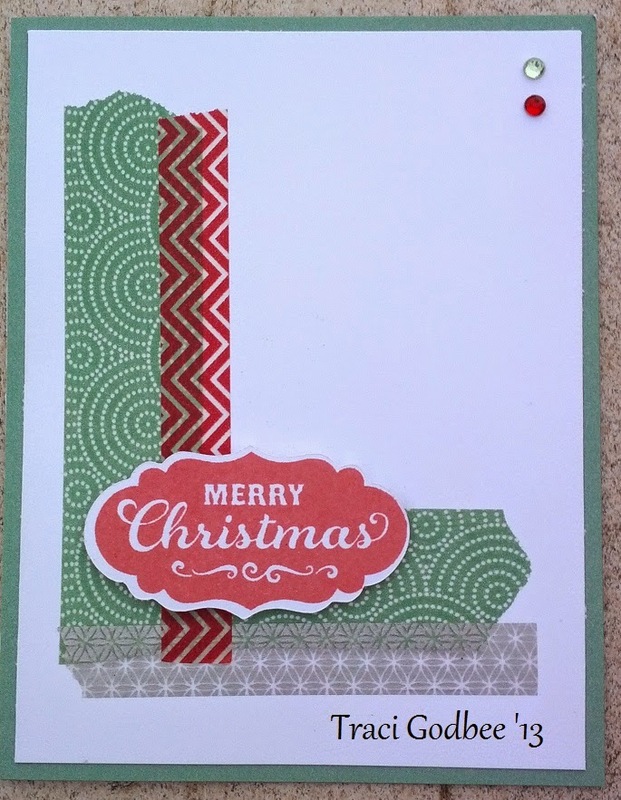 I also used the Santa Claus Stamp set and Artiste Cricut collection. It's a simple card - and went together quick for those that were into mass producing. I kept the green washi tape and switched to a slate polka dot tape. I kept the same die-cut shape but switched the stamps. I used the Holiday Tags set with Juniper and slate inks. We also switched to the black and grey epoxy gems. I went through about 20 of these sets. Then I had two hostesses want to host the recent "all occasions" card buffet. I was getting sick of this card so I stuck with the final 15 card sets and didn't cut more. I made the following updates to the card: I kept the Juniper Washi tape. 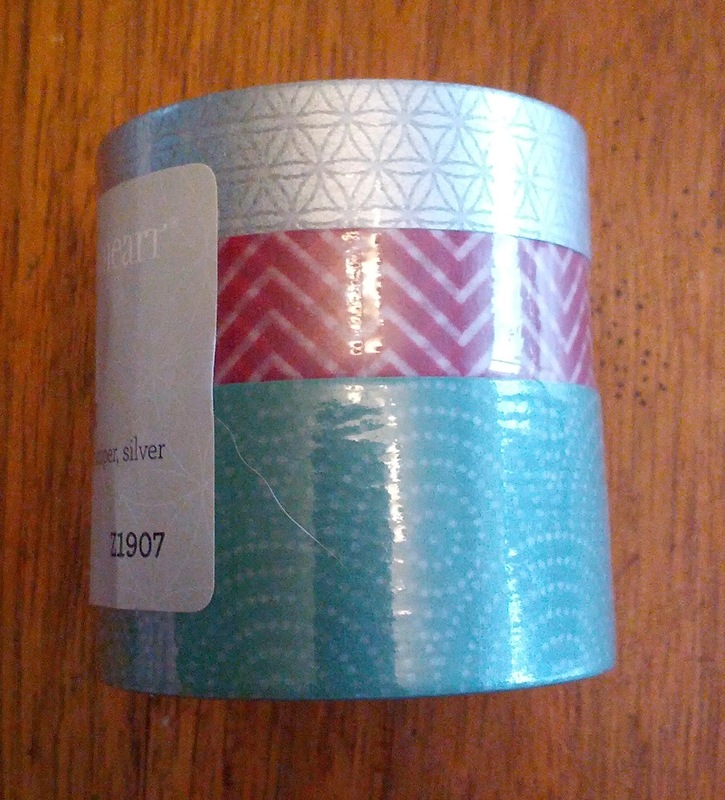 I swapped the other washi tape color for teal and silver glitter shimmer trim. 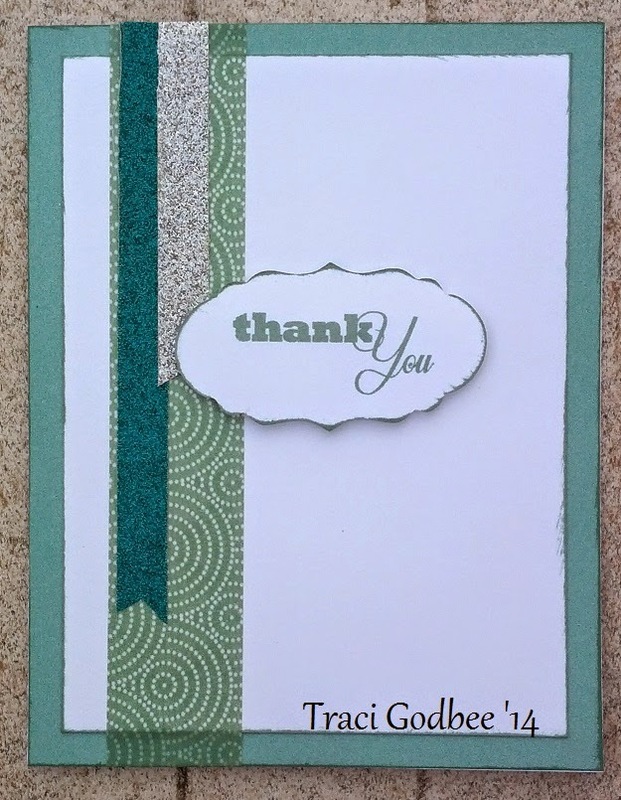 I also swapped the stamps for a "thank you" from the Casual Expressions stamp set. All 15 of these card sets were swooped up at the last class. As I mentioned- these cards are relatively simple. Since my attendees get anywhere from 8 (for new stampers/ paper crafters) all the way up to 25+ cards finished... I have a mix of easy- difficult cards. Now that this class is over- I'll post a few more of my designs later this week. This washi tape sold for $13.95 last fall. The red and silver are both available individually at $4.95 a roll. The green was never available separately. I am selling this package for $10 which will INCLUDE shipping anywhere in the continental U.S. This washi tape is sold!